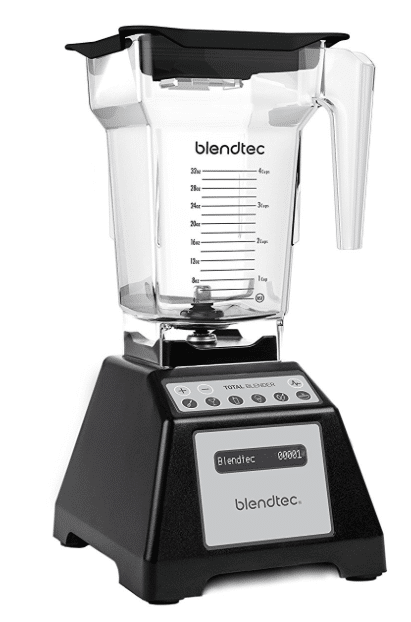 Just a reminder that this Blendtec Classic Total Blender is still marked down to it’s lowest price ever, $189.95 on Amazon! This normally goes for $350, so this is a huge and rare discount on the popular blender. I’ve been debating all day between this and the Vitamix deal, as I’ve been wanting a high quality blender for like 10 years now. I finally sprung for the Blendtec. I’m excited to make soups, dairy-free ice cream, grind my own almond flour, make pouch smoothies for my kiddos and more! I’m assuming the price will go up on this tomorrow, or soon, so if you’ve been thinking about it, now’s the time to get it. If you prefer a Vitamix, you can get the best deal ever seen on it today only on Amazon.